If you haven’t seen Our Favorites From The Shopbop Sale, go ahead and take a peek because that event ends tonight at midnight PT. It’s always one of our favorites. You can actually get Shana’s entire outfit above for 20% off. I’m crazy about that tie-dye tee. You can also grab her shorts (she says to size up!!) and the rose gold sandals, here. You may notice that we did this week’s sales report a little differently. 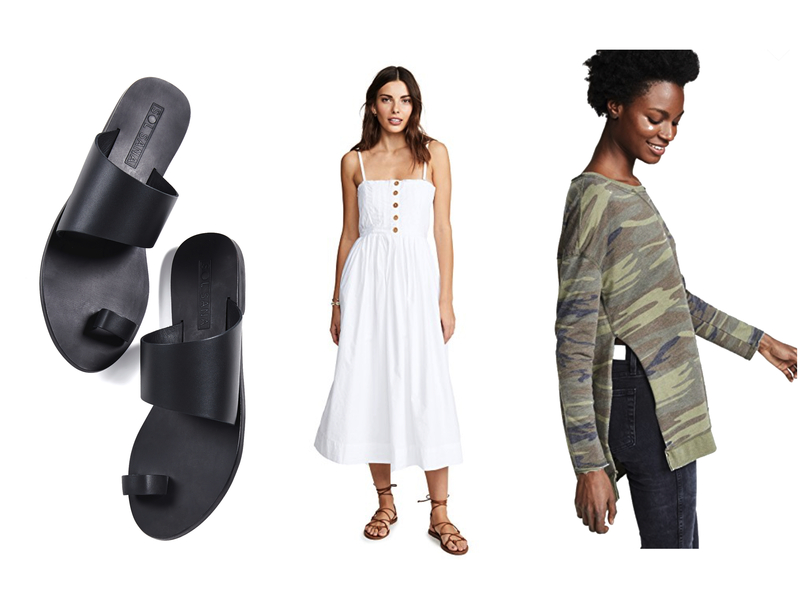 Under each contributor’s name, you’ll find their top 3 picks still available from the Shopbop sale, followed by their finds from other retailers in the boutique below. Just like every other week…but better. We think you’re going to find something in here that you love. Have a great weekend. First and foremost, it’s the last day of the big Shopbop Sale. Now is a great time to get shoes and bags (and leather jackets!) that rarely — if ever — go on sale. My top three picks are above, and I’ll be wearing them separately and all together all summer long. Whenever that comes. If ever . . . because it’s a snow day here in Marquette, ladies and gentleman. April 12 . . . a snow day. It’s not unprecedented, but it is annoying. Now you see why we need allllll the Sorel boots up here! Ooh, speaking of, these are super-cute and on sale on top of the sale . . . ). Here are the rest of my favorites – LOTS of good sales this weekend! Hey hey, Friday! Whew. What a fun busy few days with Design Week Portland here. If you’re around this weekend, be sure to check it out. It’s grown over the last few years into a fabulous event so full of amazing speakers and designers it makes your head spin. I’m headed to a Huddled Masses event tonight where they’ll have art from local POC-owned businesses and artists, and Claws Out will be painting the poem from the Statue of Liberty on attendees’ nails (my fab friend Chris is documenting it all). The proceeds from tonight will benefit the Immigrant and Refugee Community Organization. I can’t wait. 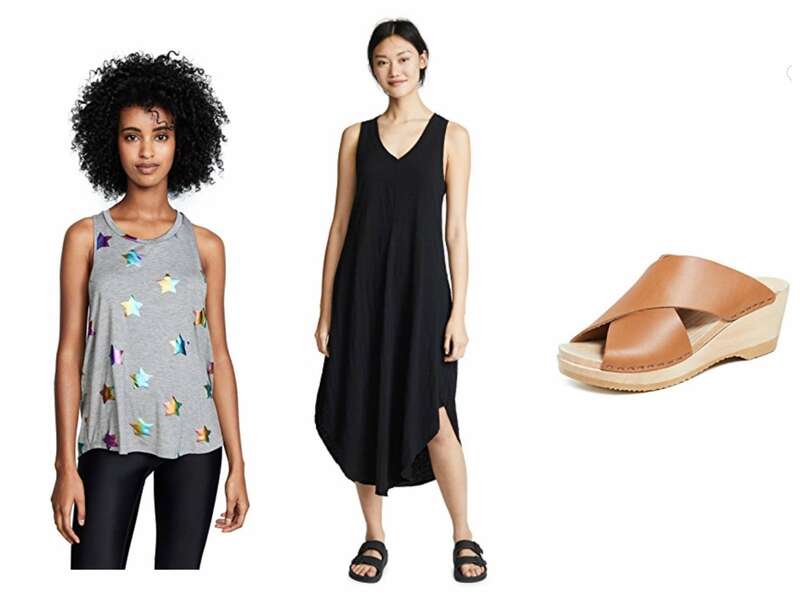 In the meantime, I’m still adding things to my cart for the end of the Shopbop sale, too. The sneakers are an investment, I know, but I can’t tell you how much I love mine. 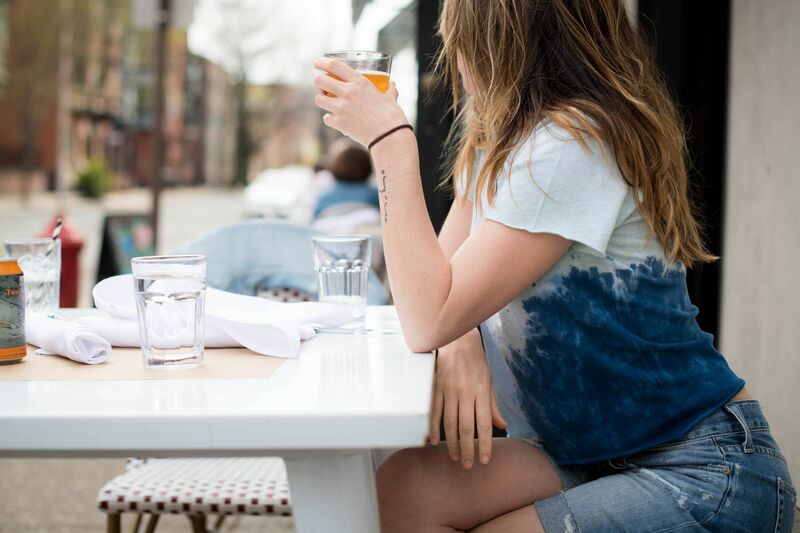 I have a feeling I’ll be living in that jumpsuit this summer, and the tee is my absolute fav. SO flattering. Also worth it. Happy Weekend, friends! Happy Friday! I have a steady rotation of family visiting starting tonight, so I REALLY should be cleaning, changing sheets, and doing some sort of meal planning, but instead…I’m having a very difficult time taking myself away from these sales! Lots of great shoes on sale, in addition to some of my favorite Boden swimsuits, and Anthro dresses and skirts. 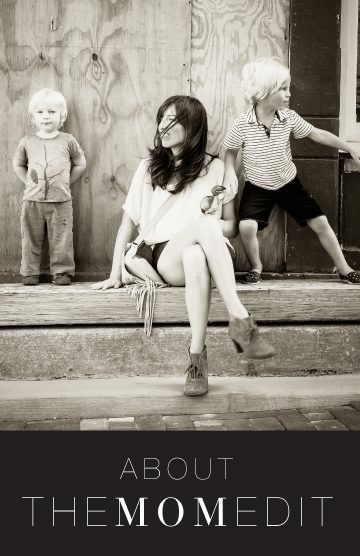 AND my favorite spring jeans are now almost all sold out at Nordstrom, but back in stock and still on sale at Madewell. 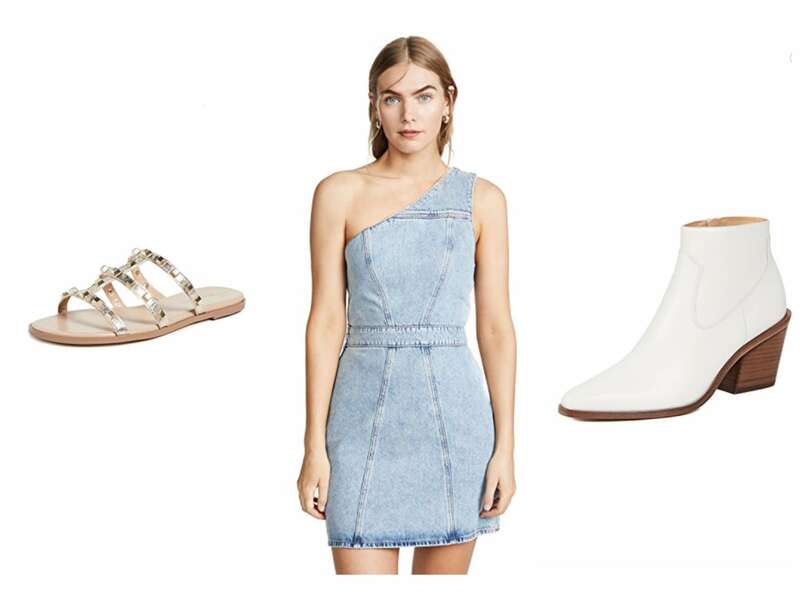 And then of course the last day for the Shopbop Sale….my top 3 picks are above. Hope everyone enjoys their weekend, and I become a bit more productive with my guest preparation! It’s been a great week for sales. 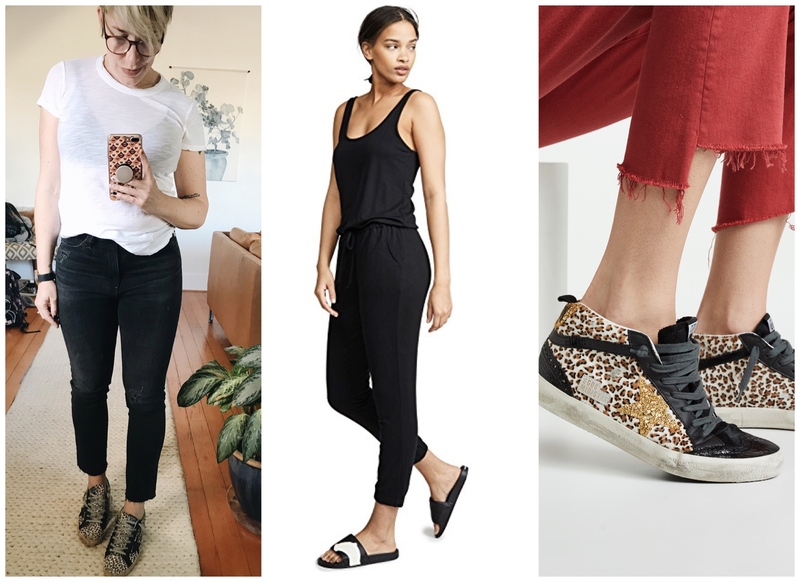 You already know about the Shopbop sale event (my top three picks still in stock are above), but J.Crew has also been having some amazing sales lately. Right now most regular-priced items are automatically 40% off, while sale items are an extra 50% off with the code: SALEUPGRADE. Also card members get an extra 20% off their purchase. 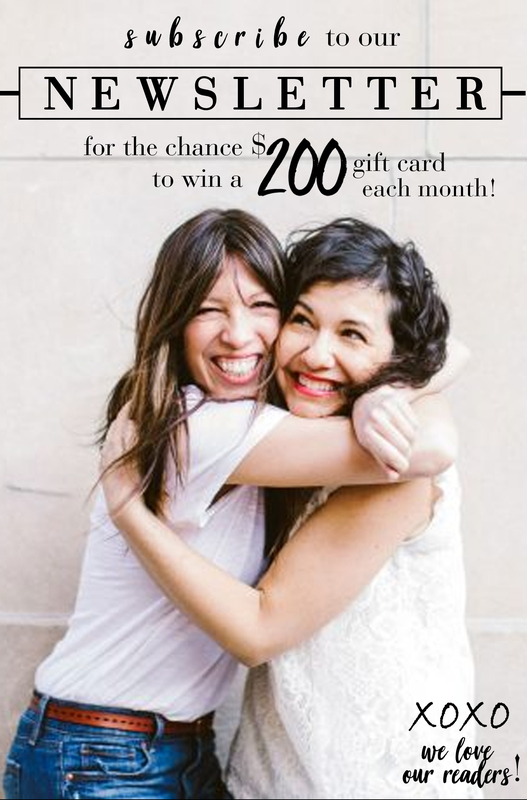 Anthropologie is also having a 24-hour event where all dresses, skirts and heels are 20% off! So, happy hunting friends! Hey guys! So..I’m really not over that little denim dress. Should I get it? If you’re anything like me and you love a good one-piece-and-done sorta look (like a denim mini dress) I’d honestly get that OR this jumpsuit. Now, let me explain. I have this. And I have just about worn it and washed it to death, but it is hands down, one of the most flattering, most well-received pieces I’ve ever owned. It’s the comfiest material with an adorable opening in the back BUT you can wear your regular bra with it. I’ll stop waxing poetic about it now, but it’s just so freaking good…And under $100… OK, I’m done.